Again Lakshmi and Patries will lead us into the workings of the organs, this time relating to the ﻿Heart and Liver﻿, the details are on the link. 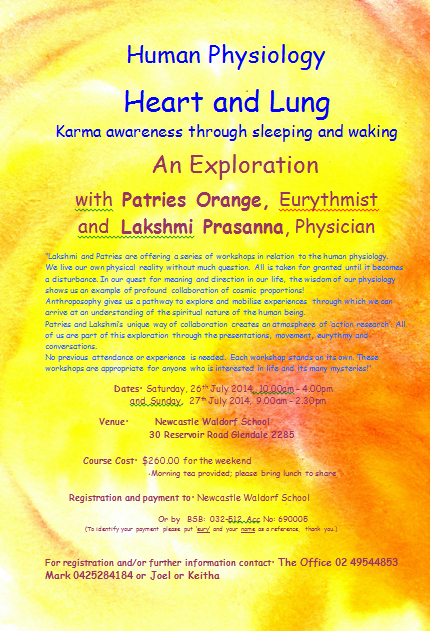 The workshop Physiology Exploration for the Heart and Lung was held at the School on JULY 26th led by Patries Orange and Lakshmi Prasanna. There are plans to host more of these workshops in the not too distant future.